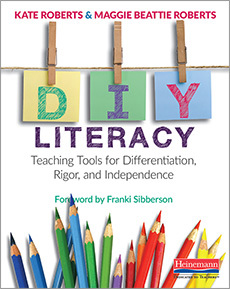 What’s DIY Literacy? It’s making your own visual teaching tools instead of buying them. It’s using your teaching smarts to get the most from those tools. And it’s helping kids think strategically so they can be DIY learners. In our sample materials, Kate Roberts and Maggie Beattie Roberts introduce the four learning tools you'll co-create with students and preview the rest of the book, which shows you how to put them into action.